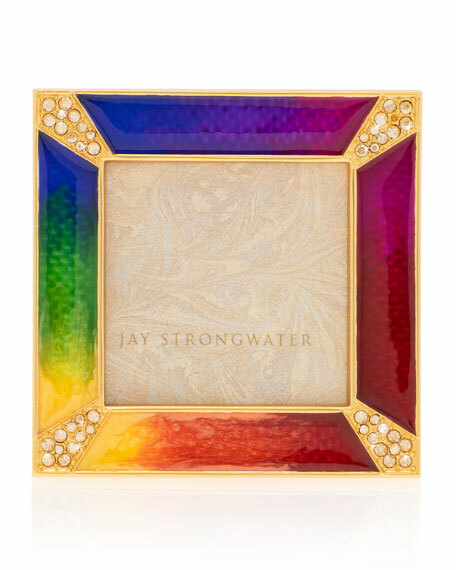 Jay Strongwater Rainbow Pave Corner Square Frame, 2"Sq. 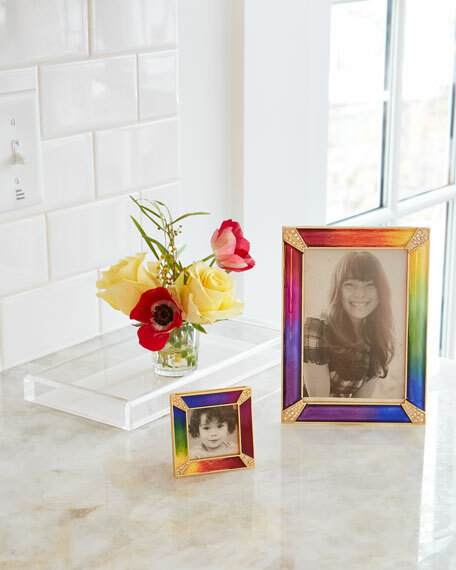 The art of meticulously hand blending ten colors of enamel paints a vivid rainbow around the Leonard Pave Corner Frame. Cast in pewter, finished in 14K gold, and hand-set with sparkling Swarovski® champagne crystals. 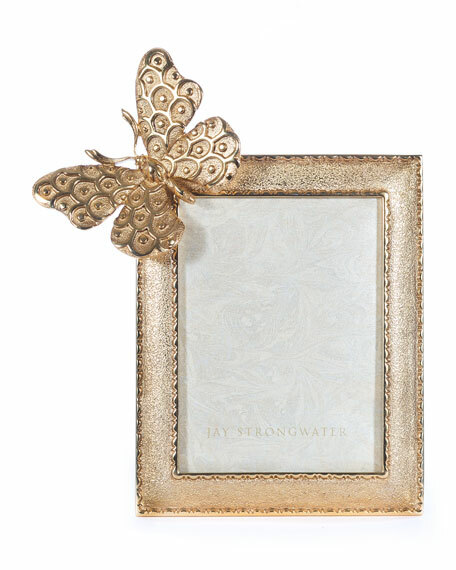 With our signature, all cream enamel back plate this frame is truly beautiful from any view. Pewter with a 14-karat gold finish. 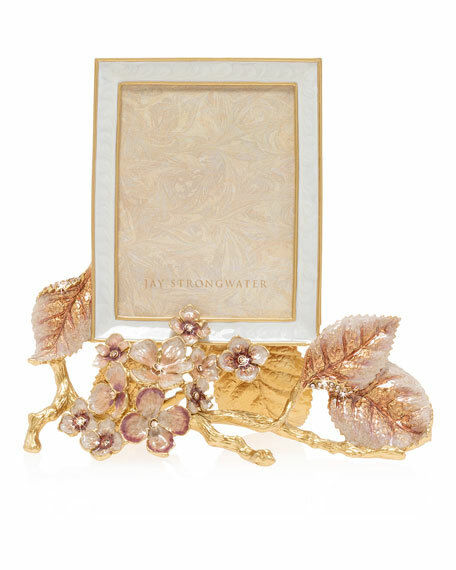 Hand-enameled and hand-set with Swarovski® crystals. 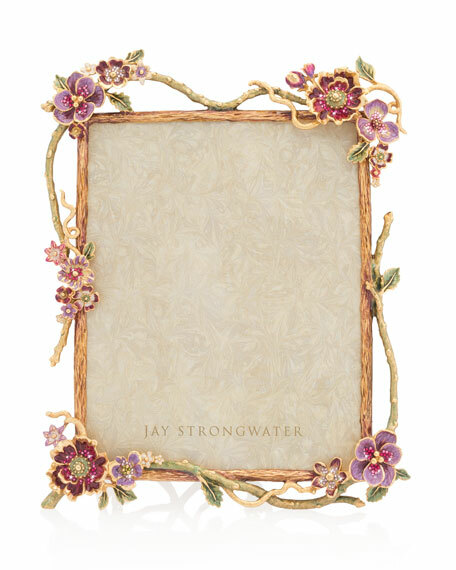 Holds a 2" square photo. 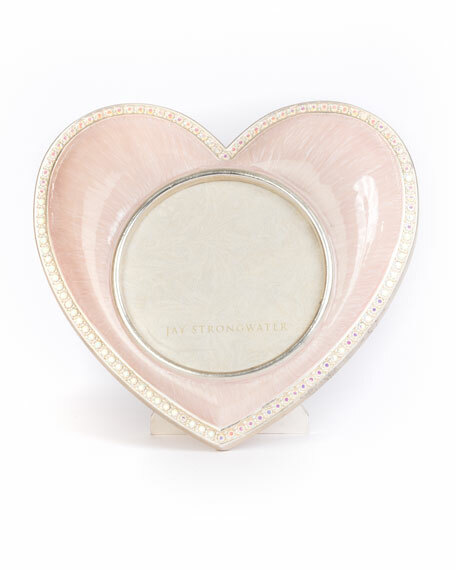 Jay Strongwater Boudoir Hydrangea Frame, 3" x 4"